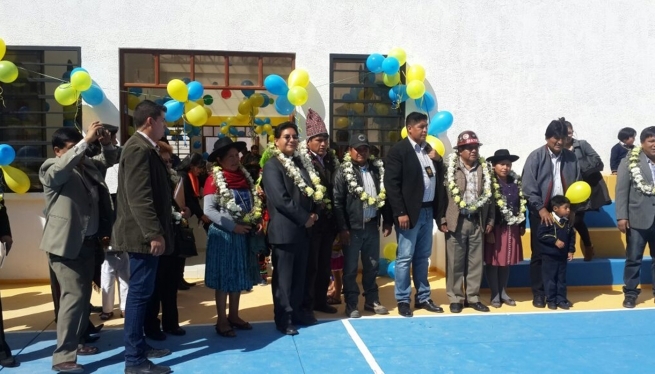 (MissionNewswire) With an investment of more than $1 million, the Bolivian government was able to extend the facility for the Convenio Don Bosco Institute in Potosí. The President of the Plurinational State of Bolivia, Evo Morales, inaugurated the new building Nov. 3. Salesian Father Luis Adolfo Tórrez Sanjinés, national director of the People’s Schools of Don Bosco (EPDB) of which the institute is a part, blessed the new infrastructure. EPDB is an organization that is dependent on the Salesian congregation and has an inter-institutional agreement to manage public educational institutions and programs for quality education through the values of Catholic and Salesian formation. The EPDB is currently educating more than 123,000 students with the support of 3,000 teachers in 250 education centers in seven departments of Bolivia including La Paz, Oruro, Cochabamba, Santa Cruz, Beni, Chuquisaca and Potosí. Convenio Don Bosco Institute begin in 1998 when Juan Rospilloso Mita, general director and owner of the Don Bosco Private School of Potosí, launched an afternoon public elementary school in agreement with the Departmental Bureau of Education and with the support and patronage of EPDB. The first stone of this brand-new facility was laid in March 2017, and work proceeded regularly until the inauguration. Today, the two schools, private and public, contribute greatly to the education of thousands of children and young people of Potosí in the style of Don Bosco. “This kind of collaboration benefits all children of all backgrounds and religions, ensuring quality education for youth living in considerations of poverty,” says Father Mark Hyde, executive director of Salesian Missions, the U.S. development arm of the Salesians of Don Bosco. Bolivia is the poorest country in South America and also has the most unequal income distribution on the continent. According to UNICEF, 60 percent of Bolivians live below the poverty line with 40 percent of those living in extreme poverty. The poverty rate is higher in rural areas where the rate increases to 75 percent of the population. It is common for Bolivians to struggle to find adequate nutrition, shelter and other basic necessities. The geography of Bolivia contributes to the overwhelming poverty of its residents. Large swaths of the country remain undeveloped with a lack of roads and infrastructure in place, negatively affecting the indigenous farming populations who typically live there. 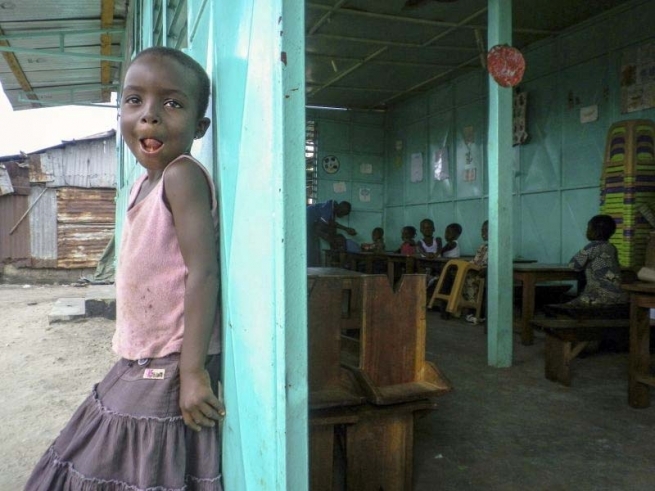 Only half of rural children complete primary school and many others leave school to help support their families, according to UNICEF. There are others who are left homeless by parents who cannot afford to care for them and those who leave their homes to escape violence.